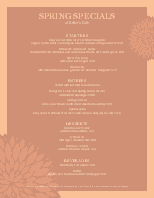 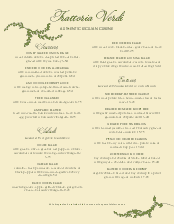 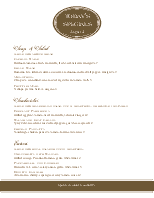 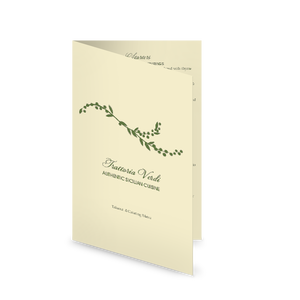 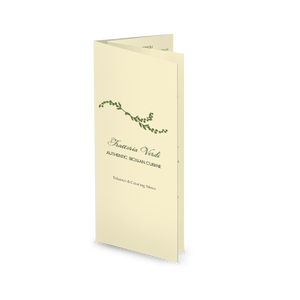 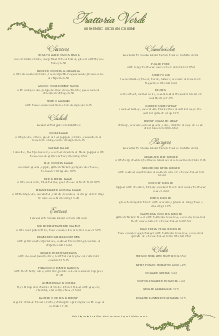 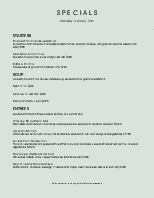 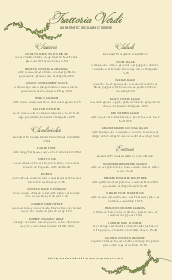 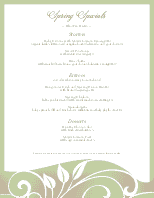 This trattoria style specials menu features a Mediterranean look, accented with olive green details. 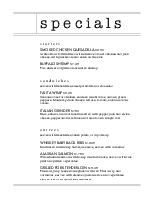 List your drinks, cocktails, or food specials. 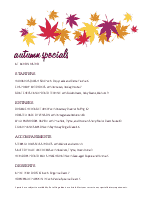 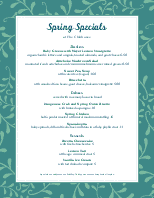 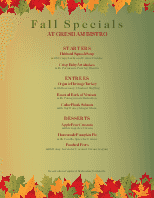 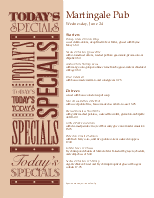 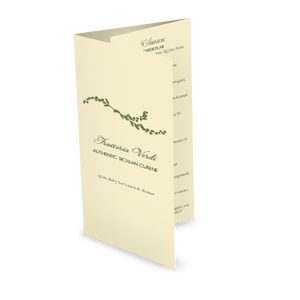 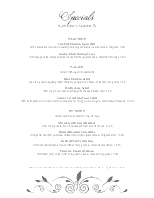 Update this specials menu online using the Menu Editor.